A marriage of inspired design and preservation practices to ensure beauty that lasts. Established in 1992, The Back Bay Framery is an independently female owned and operated small business. Proprietor Kerrie Thomas graduated with a Bachelor of Fine Arts Degree in Graphic Design from Rochester Institute of Technology in 1988. As a Certified Picture Framer, Kerrie, also a puzzle fanatic, loves to problem solve. Her ability to combine a timeless design aesthetic with practical and archival framing solutions for her clients sets her store apart from all others. With 25 years of experience in the custom picture framing industry, she is here to ensure the lasting beauty of your art. The Back Bay Framery is inspired by what you cherish. 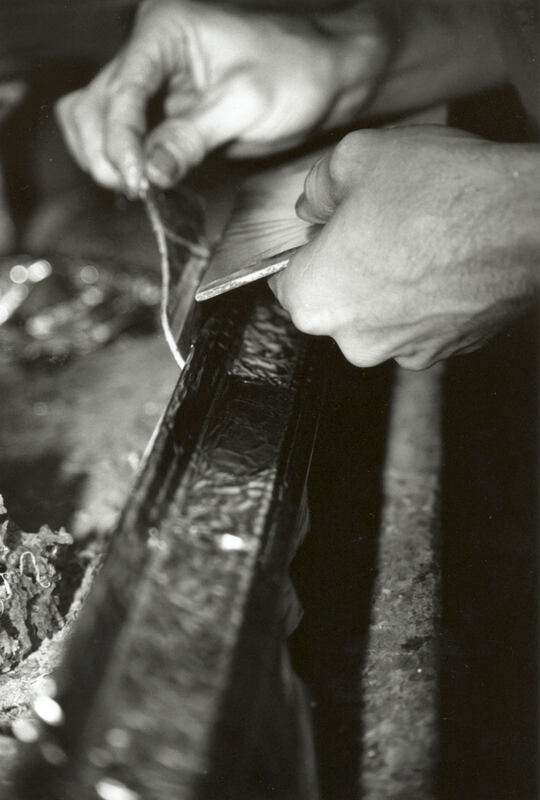 The art of gilding is a process that has remained almost unchanged for hundreds of years. A moulding profile is milled, carved and sanded. Three to ten layers of gesso primer are brushed over the wood profile. 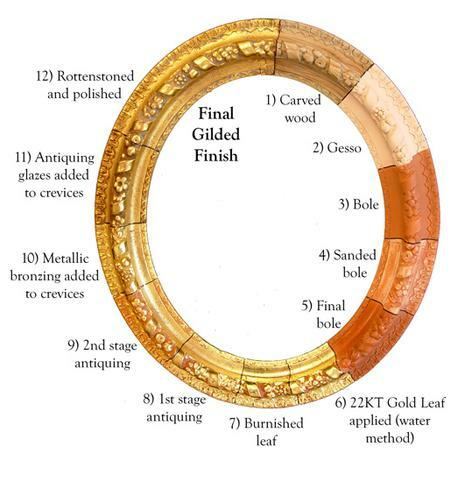 Coats of clay with a glue binder, called bole, are applied, sanded, and rubbed with steel wool in order to achieve a glass like finish to accept the gold leaf. and rabbit skin glue), hence the term Water Gilding. look of an historic, period frame. of its weight and ease of handling. The result: a beautiful gilded frame. Hand water gilded frames can turn an art collection into a museum quality display for your home. Antique family photos, memorabilia, and personal collections can also be surrounded by the finest frames to create tomorrow’s heirlooms. These beautiful frames provide you with a fine opportunity to embellish all the art for your home and create true masterpieces.